After one and a half day full of basketball, the first stage of Abu Dhabi 3×3 Basketball ended in style, with the final of the Open Men category. Team Novi Sad, the FIBA 3×3 World Tour winners in 2014, claimed the victory against Team Bone Collectors, final score 21-14. With 90 teams at the start, this was the biggest 3×3 basketball tournament ever organized in UAE and is was a promising start for the Abu Dhabi 3×3 Basketball Tour. The tour will continue with three other regular stops in the next two months, and will conclude on 7 and 8 of May, in Abu Dhabi, with the big final. Members of Team Novi Sad, Dusan Bulut, Dejan Majstorovic, Marko Savic and Marko Zdero were not the only stars from the FIBA 3×3 World Tour that featured in the tournament. Angel Santana, the European Champion, pumped up the event in his own style, bringing joy to everybody, on and off the court. From young kids running around up and down the court after the ball, to their parents and coaches, who also got their chance to play, everybody enjoyed the tournament, while many of them were already asking about the next one even before this one was ended. 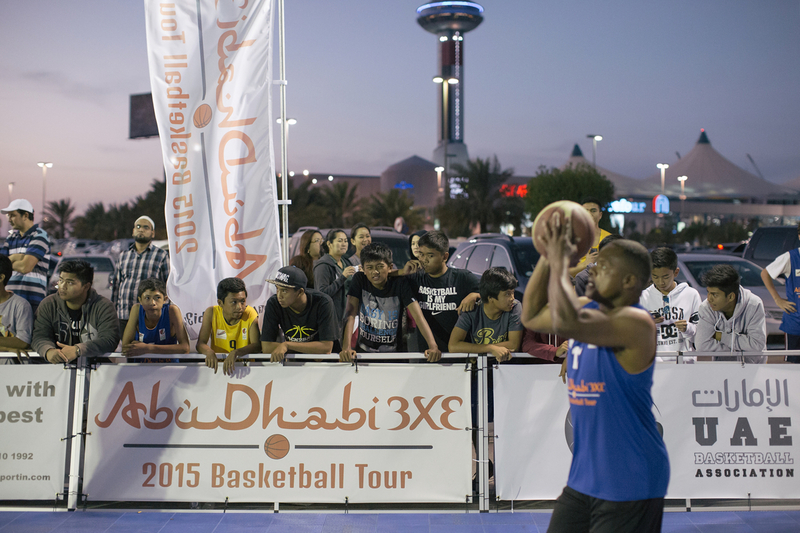 Abu Dhabi 3×3 Basketball Tour brought the basketball in the middle of the city, and some of the players that took part on this tournament might get the chance to represent the city in the FIBA 3×3 World Tour 2015. This year Abu Dhabi became the capital of 3×3 basketball, after the Abu Dhabi Sports Council signed an agreement with FIBA to host the next two editions of the FIBA 3×3 World Tour Final. 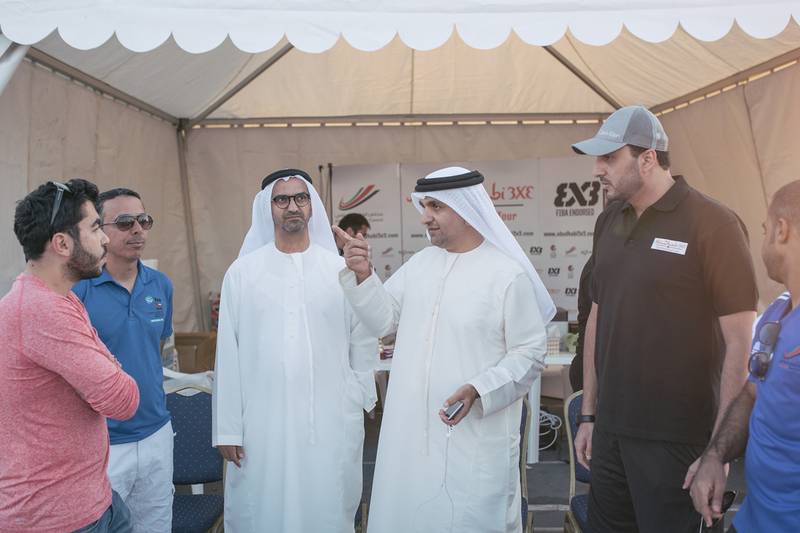 His Excellency Aref Al Awani, general secretary of Abu Dhabi Sports Council, the main partner of the event, attended the games, together with the 3×3 Chairman from UAE Basketball Association, Mr. Khalid Al Hanaei. All of them were excited to see the basketball community from Abu Dhabi gathered together for this event and to see the grassroots level of basketball back in action after a long time. 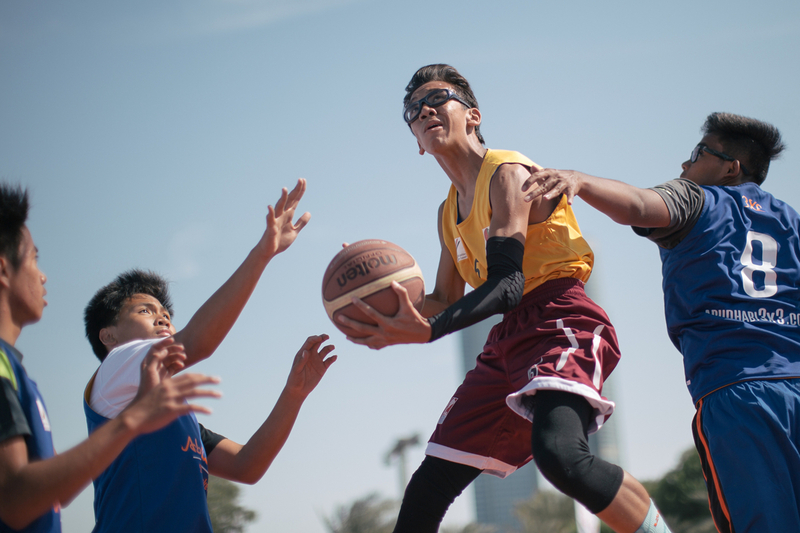 The Abu Dhabi 3×3 Basketball Tour is organized by Abu Dhabi Sports Council together with its partners, UAE Basketball Association, Extra International Sport and Sport Arena. The first stage was supported by Abu Dhabi Marine International Sports Club and Crowne Plaza Hotel. The Tour will continue next week in Al Gharbia. The games will be played at City Mall, on 18-19 March, and registrations already started on the official website of the competition, abudhabi3x3.com. Next stages will be Al Ain (2-3 April), Abu Dhabi (16-17 April), followed by the final of the Tour, in Abu Dhabi, on 7-8 May.